Month One - Today we wrap up Month One of our One Year Bible readings! Congratulations! Your marathon pace is looking great. The wonderful habit of reading from God's Word every day is starting to settle into place in your life. Keep your eyes forward on the path before you this year and your eye on the prize! As Paul tells us in Philippians 3:14 – "I press on toward the goal to win the prize for which God has called me heavenward in Christ Jesus." Let us each press on toward the goal! 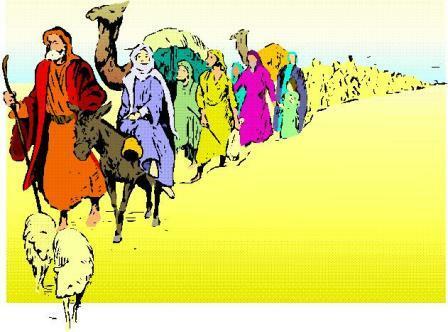 Old Testament - This is a big day in our readings today - The Israelites officially begin their exodus from Egypt! 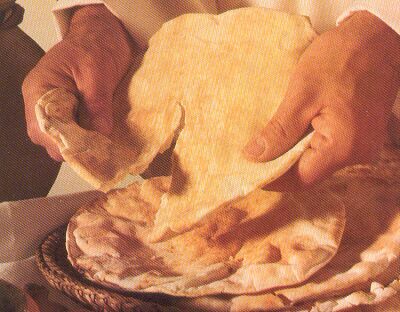 Today in Exodus chapter 12 we read about God instituting the Festival of Unleavened Bread along with Passover. These both are still observed today by practicing Jews. Verse 14 states the importance of these festivals to the Israelites: "You must remember this day forever. 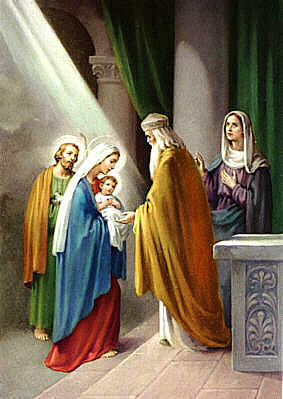 Each year you will celebrate it as a special festival to the LORD." Verses 37 & 38 are amazing: "That night the people of Israel left Rameses and started for Succoth. There were about 600,000 men, plus all the women and children. And they were all traveling on foot. Many people who were not Israelites went with them, along with the many flocks and herds." 600,000 men equals probably at least 1.2 million people all together - and probably close to 2 million. This is a massive Exodus! Verse 38 is very interesting in that some Egyptians were joining the Israelites in this Exodus! Think these Egyptians believed in God? 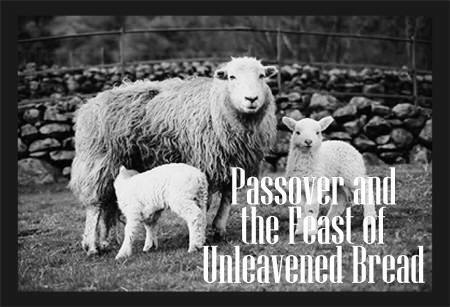 Bible.org's commentary on "The Passover and the Plague of the Firstborn" is at this link. New Testament - Today in Matthew chapter 21 verse 22 we read these words from Jesus: "If you believe, you will receive whatever you ask for in prayer."" This is a powerful verse if you really stop and think about it... Do you believe Jesus' teaching here? Do you believe that if you believe, you will receive whatever you ask for in prayer? I do believe this... but then there is always in the back of my mind - "but what about so-and-so who was ill and was praying in belief that they would be healed. But then they weren't..." I don't have any easy answer on this one. I have to believe there are probably some good resources out there for this tough question? If you know of any resources / books on this subject of prayer - or, more specifically, unanswered prayers - please post up in the Comments section below? Thanks. Whoo-hoo! Today is Palm Sunday in our Gospel reading today! :) Hosanna in the Highest! Hosanna means "Save Now" - Amen! Bible.org's commentary on today's readings in Matthew chapter 21 titled "The Triumphal Entry" is at this link. Psalms - Psalm 25 verse 22 really stood out to me today: "O God, ransom Israel from all its troubles." As I read this, the Christmas carol, "O Come O Come Emmanuel, and ransom captive Israel" comes to my mind. Indeed, God would answer this prayer of King David's and send his Son to ransom Israel! 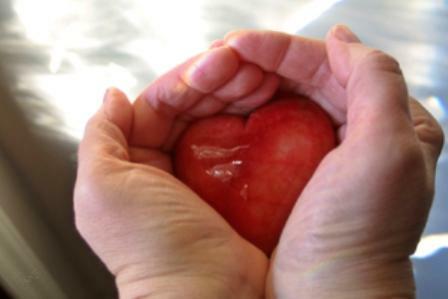 Proverbs - Proverbs chapter 6 verse 14 today tells us: "Their perverted hearts plot evil. They stir up trouble constantly." This is a powerful reminder of the utmost importance for us to guard the condition of our hearts continually! Worship God: Reading about Jesus' triumphal entry into Jerusalem today reminded me of the Hillsong United song "Hosanna:"
Are you praising "Hosanna?" 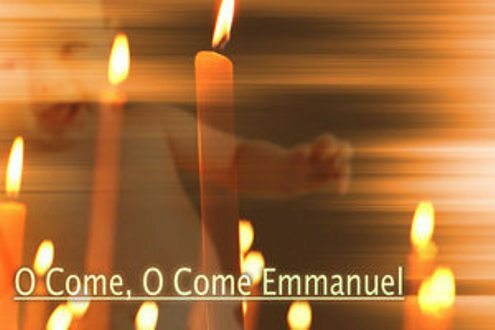 Click here and praise Hosanna in the Highest! Prayer Point: Pray that you would believe in Jesus unfailingly each and every day. 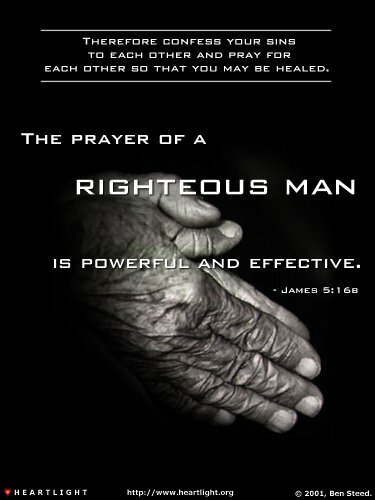 Ask for things in prayer that you believe are the will of the Father. Comments from You and Questions of the Day: It's interesting to me how fast January seems to have flown by. February is now before us. I don't know about you, but I set some big goals and resolutions this year and somehow I'm suddenly a month behind on progress on those goals. However, even though I am feeling behind on some goals for this year, I know that ultimately my life is in a very good place because I am moving forward with my relationship with God. Reading and studying God's Word every day is a higher priority than any of my other goals and resolutions. Those other goals and resolutions can wait. My relationship with God cannot wait. As long as I am in a growing and loving relationship with God, Jesus, and the Holy Spirit, nothing else really matters. How about you? Are there some goals and resolutions for this year that you feel like you might be behind on? Do you agree that reading from God's Word each day and growing in your love relationship with God is more important than those goals and resolutions? Also, what verses or insights stand out to you in today's readings? Please post up by clicking on the "Comments" link below! Random thoughts and impressions I jotted down as I read the Old Testament today. When I read this I thought, “Did Moses “Bless” Pharaoh? Was there some kind of bank of heaven where Blessings are stored up for certain people and applied accordingly? 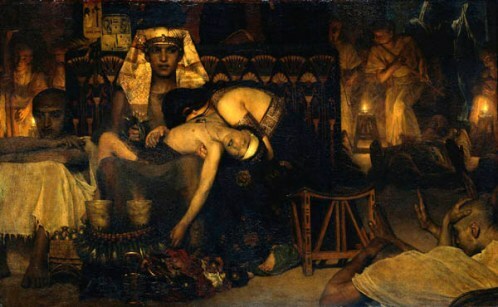 Pharaoh would have to rely on the mercy of God because he did not have a relationship with the God of gods and I think God’s Mercy had run out on Pharaoh. The word plunder implies war and those that plunder are the victors. Israel had been in a battle; however, it was God fighting their fight against the ineffective gods of Egypt. To the victor belong the spoils of war. Paul wrote in his letter to the Romans, Yet amid all these things we are more than conquerors and gain a surpassing victory through Him Who loved us. (Romans 8:37 AMP). What does it mean to be more than a conqueror? To gain victory automatically bestows title of champion, but to be more than a conqueror has not been something I’ve contemplated. Israel’s march out of Egypt carrying her treasure with them made her more than a conqueror without having lifted up one weapon, God did it all. Finally the passage I had found so very intriguing three years ago and that continues to fascinate me today. The previous verse states every firstborn sons and male animals MUST be presented before the Lord, yet the donkey could be redeemed. Why? It is because the donkey is a work animal and can be ridden by man, or is there some other thing going on? 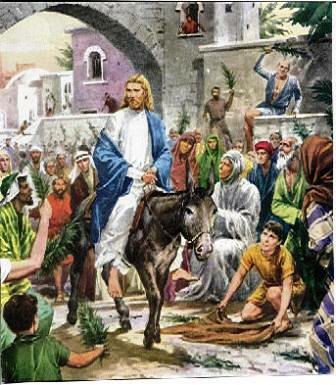 Jesus came into Jerusalem riding on a donkey as He entered Jerusalem during His Passion. Jesus, the Lamb of God came into Jerusalem on the back of a young donkey. Not only did he Redeem man from his sins, he redeemed that donkey from having its neck broken. Philip Yancy " Where is God when it hurts?" David Arnold " Why bad things happen to good people"
Another book I read years ago on prayer would be "Beyond the Veil" by Alice Smith,. Matt 21:22 " if you believe, you will receive whatever you ask for in prayer" You have to have faith. Although it may not be in Gods will for that person to be healed. His glory may be shown either way. It's accepting how God answers or does not answer your prayer the way we want or expect! He is ultimately in control and has a bigger plan. Just keep your eyes fixed on Jesus!!! Was always lead to believe that God answers all prayer,either yes,no or wait.Would love your thoughts..